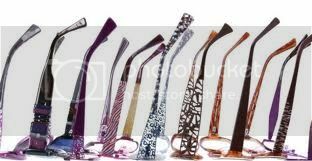 Lafont Eyewear is recognized worldwide as eyewear, which stand atop the fashion industry. Begun in Paris in 1923, Lafont Eyewear has continued to set the trends of the fashionable from Cannes to New York, Paris to Hong Kong, for eighty years. Laurence Lafont the designer set’s the ambiance of the collection. A dynamic combination of designs and colors confirms Lafont’s reputation for outstanding designs. Therefore it is not surprising that this French designer combines styles that are at once sophisticated and classic, with shapes and colors that are totally different from traditional, standard frames. The heritage of the French lifestyle, the celebration of Parisian elegance, and discreet luxury, together with technical knowledge, and only the use of highest quality materials, is the essence of Lafont. Having a passion for high quality, Lafont Eyewear fashions and finishes its collection with high precision using rich acetates and pure metals. 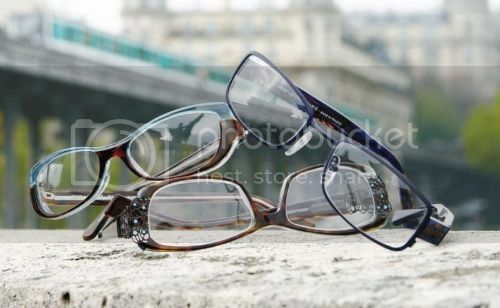 Lafont eyeglasses include a full line of metal-inlay plastic frames .Lafont Eyewear is French. It’s as simple and as fashionable as that. The line will appeal to the most discerning consumers. Whether you know your style, or are searching for a new expression, you will discover the right frames in the elegant atmosphere that is Lafont style. When a frame is crafted by Lafont, each is begun as a blank sheet. The craftsmanship of four generations is combined with inspiration and modern technique to create a new frame that is unique. There will be frames that are similar but not mass-produced in the typical fashion. They are master crafted to perfection. This has lead to the understandable elevation of Lafont glasses into the high-end of fashion and trend setting companies.